If you are going to buy one Photoshop book then this should be the one (or you could buy my Essential Photoshop - sorry but I have to promote my own books). I used to say forget those huge volumes with hundreds or thousands of pages but to be honest, the latest version of this book is becoming quite weighty. It remains however packed with very relevant information in a very accessible format. The warning I would give though is that this book seems to be revised and re-issued as often as Adobe launches a new version of Photoshop. Be sure to buy the correct version. The only criticism I might have of the book is that Mr Kelby hasn't realised that he doesn't need to inject humour into every page. As much as I love America the tone can start to irritate us rather reserved, stiff upper lipped Brits. 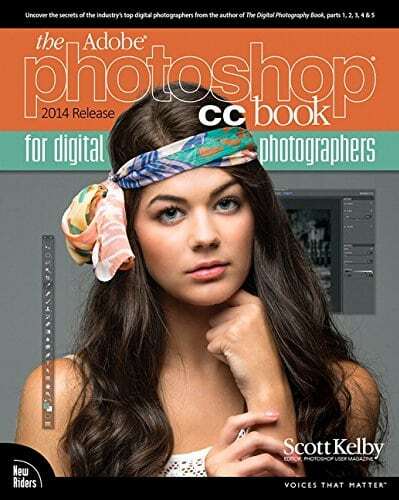 A great book and well worth buying if you struggle with Photoshop.